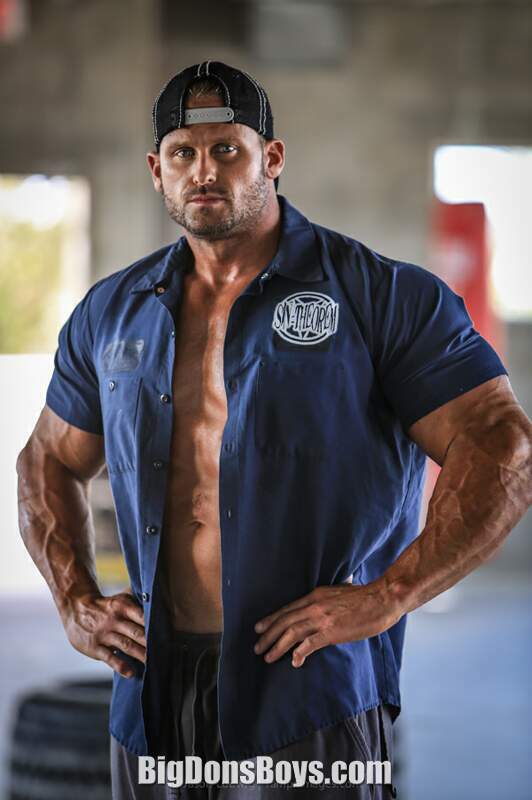 6'2" (1.87m) bodybuilder Ryan Watson weighs almost 300 lbs. (136kg) in the off season! He was an all-state football player at Largo High School in 1997. He originally played NFL football for a year for the Atlanta Falcons and Tenessee Titans after he graduated from Appalachian State University as an all-American with a BA in Health Science and Nutrition. Ryan attended with a full football scholarship, and received All Conference an All American honors in his senior year. This led to his receiving many free agent offers by 11 different NFL teams and he decided to sign with the Tennessee Titans. After less then a year with them he was released but was signed a week later by the Atlanta Falcons where Ryan played for two years. After leaving football, personal training and bodybuilding were just natural attractions for to Ryan. Most amazing of all is he got very sick and then made a complete recovery. After doing his first bodybuilding show 3 years ago, the Mid Florida Classic, Ryan was diagnosed with a golfball sized tumor in his C7 vertebrae in his neck. He checked into a hospital and had it removed and his C5 through T2 vertebrae fused for added stability in his neck. Just 14 months later, Ryan was back on at the 2007 Southern States contest, and feeling great. His bodybuilding videos are so popular on YouTube that just one of them has been viewed over SIX MILLION TIMES in just one year! 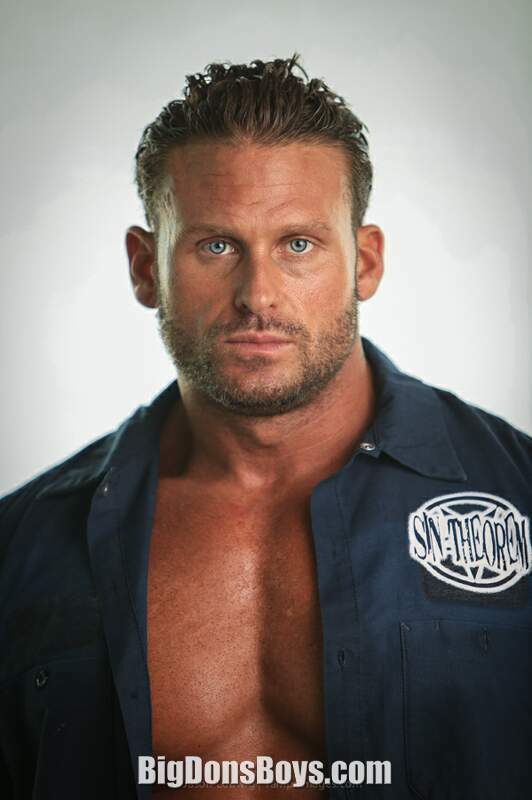 Now he lives in Tampa, Florida and is a personal trainer and competitive bodybuilder. He came in first and overall in the 2007 National Physique Committe (NPC) mid-Florida Classic. He came in first in 2008 in the NPC All South as a superheavyweight. And he was the overall winner at the 2010 Southern USA. He has been featured in many muscle magazines, including Muscle & Fitness, Muscle Mag Intl., Muscle and Body, Men's Fitness and ASIB magazine where he is a contributing editor. As he mentions on his Facebook page " The goal of my web site www.RyanWatsonFitness.com and my personal training company is to help any completely surpass any fitness goals someone has for themselves through my extensive education and experience!! When you are ready for the next level of fitness, I am here ready to help you kill it!" Ryan Watson makes the other customers of Powerhouse Gym in Florida look like children in this workout video. Its obvious why Ryan has become one of the most famous of the Youtube bodybuilding video stars. Some of his uploads have gotten millions and millions of views. Here he has a great multi station work out (running between machines of course) and then he does a long posing and flexing session just to prove he's the biggest. Cuz he is! Could you imagine if he took up boxing or ultimate fighting? Your punches would hit iron hard muscles and, if he got one power hit in, your head would come off!